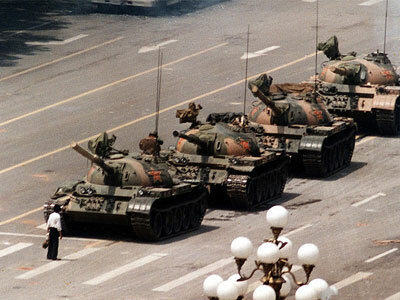 The events in Tiananmen Square in 1989 will not be found anywhere on the Chinese internet today, or any other day for that matter. As far as the Chinese government is concerned this never happened. Categories: Happiness, Photographs, Politics | Tags: 4 June 1989, censorship, China, internet, Tiananmen Square | Permalink.